The athletic-inspired KEEN Utility Flint Low is designed with low-cut brown leather uppers. 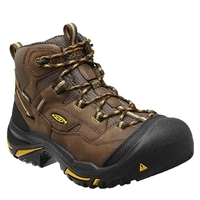 KEEN Utility's steel-toe performer is a durable, protective work boot. 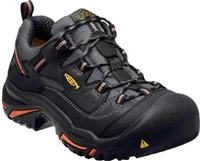 The Atlanta Cool is a versatile and comfortable work shoe that's feather light and breathable. 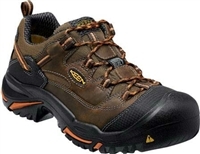 The KEEN Utility Atlanta Cool is a versatile and comfortable work shoe that's feather light and breathable. 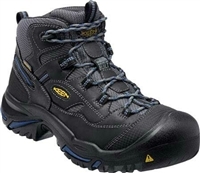 The Atlanta Cool is a versatile and comfortable work shoe that's feather light and breathable that is ESD rated. 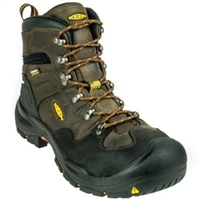 This Men's KEEN Utility Braddock Low Soft Toe is an American Built waterproof work shoe. The KEEN Utility Logandale Boot are built in Portland, OR and are a versatile medium-duty men's boot that can handle just about anything. 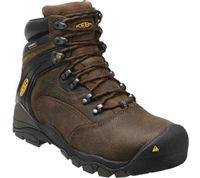 The KEEN Utility Detroit boot is a tough that will keep your feet comfortable all day long. 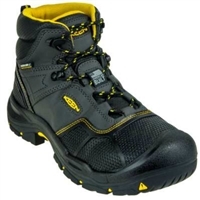 The Men's KEEN Utility Braddock Low Steel Toe Shoe is American Built and is ideal for indoor job-sites. 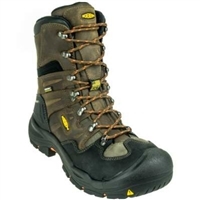 Keep your feet comfortable, and protected with the KEEN Utility Louisville Steel-Toe Boot. 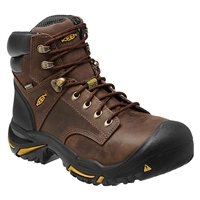 The KEEN Utility USA Utility Braddock Steel Toe Work Boot is an industrial-quality leather work boot, that is proudly built in America. 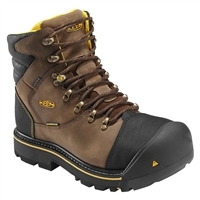 Defend yourself against workplace hazards with the KEEN Utility Men's Louisville Met Guard boot. The flexible construction, waterproof protection and an oil- and slip-resistant outsole will keep you comfortable and safe all day. 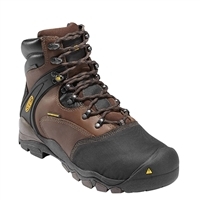 The flexible construction, waterproof protection and an oil and slip-resistant outsole will keep you comfortable and safe all day. American built and ready for action, these black leather men's boots are proof that great quality still exists. The city of Pittsburgh is infamous for steel, toughness, and hard work, as is this boot. 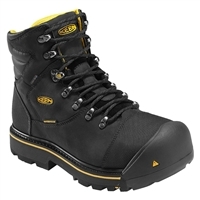 The KEEN Utility Coburg Steel Toe Work Boot is an industrial-quality leather work boot, that is proudly built in America. A heavy duty boot to get the job done. The KEEN Utility Dallas Wellington Work Boot is great for working long hours on the ranch or job site. 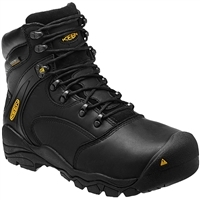 The men's KEEN Utility Coburg Steel Toe boot are designed in the U.S.A you will never want to be without. The Mt. 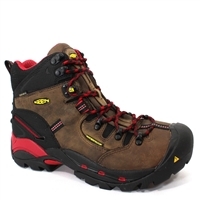 Vernon 6" boots by KEEN Utility have it all. American-built with a steel protective toe, waterproof membrane, and supportive TPU shank, you will not be disappointed.